Secrets of Grindea » Weekly Recap #160: All Together Now! Weekly Recap #160: All Together Now! 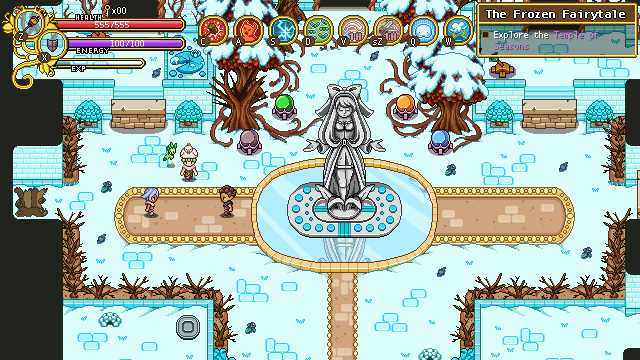 This week, Teddy has been focusing on the multiplayer aspect of the Temple of Seasons! We’ll patch the Frontline beta to include this in the next few days. It all works if you stand perfectly still! 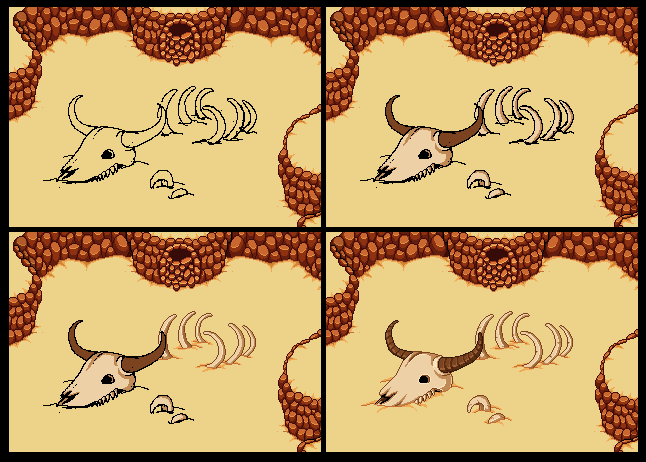 Meanwhile, Fred has been whipping together the final animations required for the cutscenes at the end of the temple, and Vilya is making the desert area interesting with tons of props and details! As you can see, we’re going for a rocky type of desert, with lots of ridges and set pieces! Apparently, people absolutely love deserts as it is, so hopefully ours won’t be an exception. Posted by Secrets of Grindea at 2015/02/18. 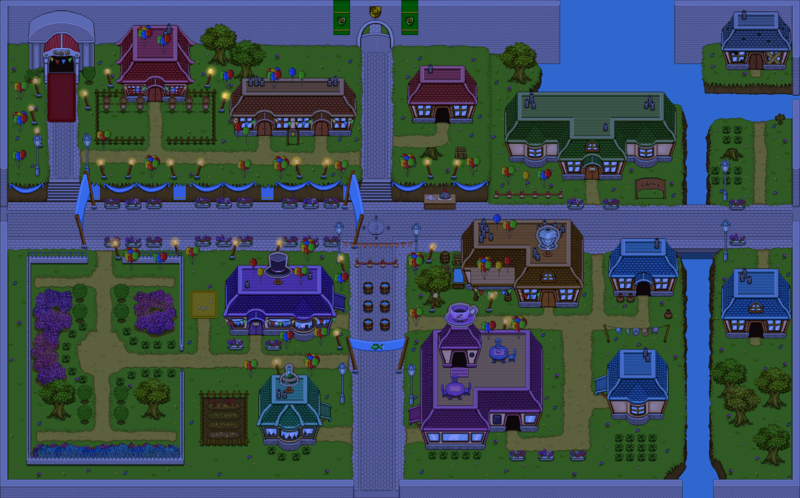 Tags: environment, Evergrind City, Temple of Seasons. Too bad the game is not translated in french because I really like the game, really. And I’m very bad English. Actually, they have a translation tool, so there is a pretty good chance someone is already working on translating it to french. will there be any local multiplayer? Awesome!! Looks like a fishing contest in Evergrund City at night! An estimate of the lifetime for the single player please? (Main Quest quest Schedule + included).